The first luxury hotel to win 5 Michelin stars is putting its money where its guests' mouths are. And committing to the cause of tomorrow's food and cuisine. The Four Seasons Hotel George V in Paris has three restaurants. Between them, they've earned record recognition by Michelin. 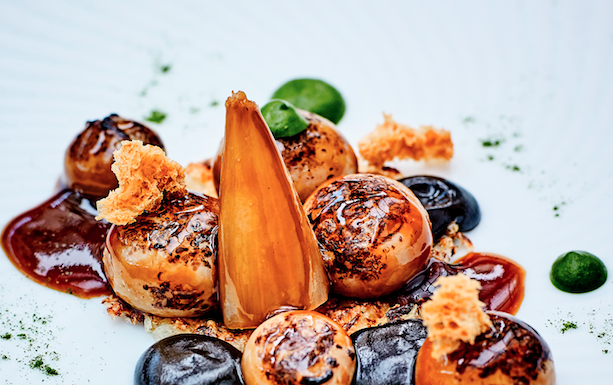 3 stars for Le Cinq, 1 star for Le George (pictured, top) and 1 star for L'Orangerie. It's put this historic landmark Parisian hotel on the top of many foodie travel lists. 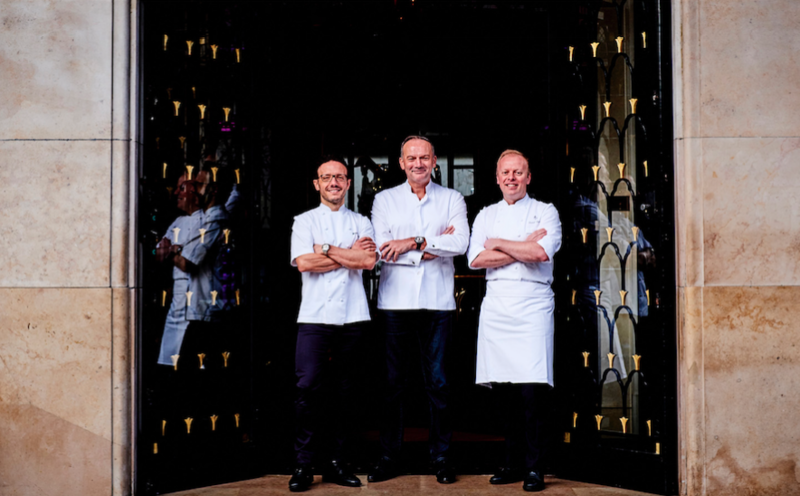 Now an historic garden is where the Four Seasons Hotel George V is taking the future of social and environmental cuisine. 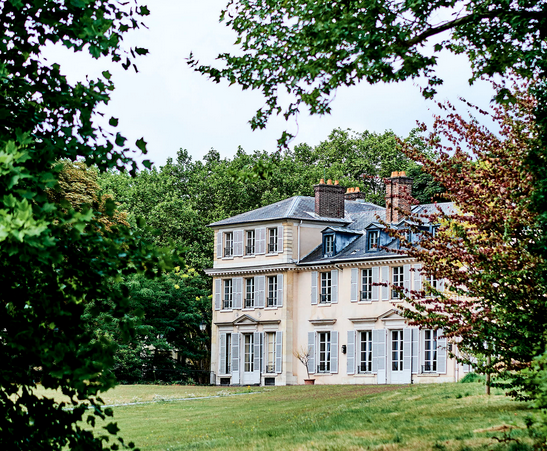 In the late 1700's, French King Louis XVI gave his sister a 20-acre(8-hectare) estate in the heart of Versailles, the royal residence on the outskirts of Paris. Princess Elisabeth cultivated a fruit and vegetable garden and gave her produce to the underprivileged. 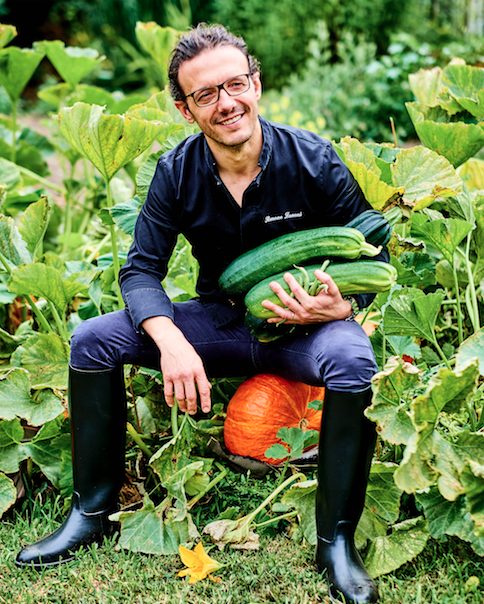 Today, the Estate is a public garden, and now part of it has been turned into a sustainable Kitchen Garden for the Four Season Hotel George V's Le George restaurant. Executive Chef Simone Zanoni has a vision of a multi-faceted approach to lead the future of food production as he forges ahead with the highest levels of fine dining. Country hotels may have their own on site gardens. Not so for big city hotels. The hotel's Kitchen Garden is less than 10 miles (15 km) from the hotel in the heart of Paris, reducing the carbon footprint of transporting produce from garden to the hotel kitchen. The garden has been free of chemicals for over 10 years, ensuring completely organic produce. Testing planting began a year ago, and resulted in fine harvests of a broad range of fruits and vegetables including 15 varieties of tomatoes and vegetables from humble carrots, potatoes and beets through squash,pumpkins, eggplants, and green beans and even fruits: strawberries, raspberries and bush peaches. The garden has been developed with the assistance of the local 'Green Brigade', a team of twenty people on return-to-work contracts. Their on-site work to harvest at the point of perfect ripeness ensures the produce is served in the restaurant's dishes at peak flavor and texture. Green waste recycling? The new Kitchen Garden ups the ante. The hotel has partnered with a Paris start up called 'Les Alchimistes'. They collect organic waste from Le George restaurant, process it into 'made in Paris' compost, and return it directly to the soil at the Versailles garden. The garden's bio-system is a now an elegant plate-to-plate cycle. Chef Zanoni acknowledges the new generation of chefs even in food-conscious France has grown up without personal experience of agriculture, gardens and green space. So sharing that experience of hands-on gardening and awareness of food production is part of the hotel's Kitchen Garden vision. Two to three days a week, staff from Le George are on-site at the Kitchen Garden learning about raising produce and selecting premium produce at its source. The final connection: hotel customers and diners. Not only will people enjoying the cuisine at Le George benefit from the locally-raised, environmentally- and socially-conscious produce on their plates. Four Seasons Hotel George V is unveiling a parallel guest experience at the Versailles Kitchen Garden. In a hybrid Porsche Panamera, guests are taken to the Kitchen Garden for a chance to explore, discover, and participate in ingredient selection. Back at the hotel, they'll have a tasting of the produce with Chef Zanoni. 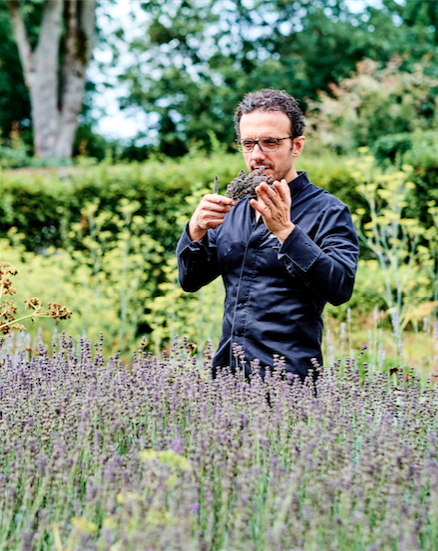 For this Michelin-starred chef, it's the ultimate in the concept of sharing at the table: inviting guests to learn the many facets of this next-generation hotel kitchen garden and share in the pleasures of the soil and its produce on their plates.